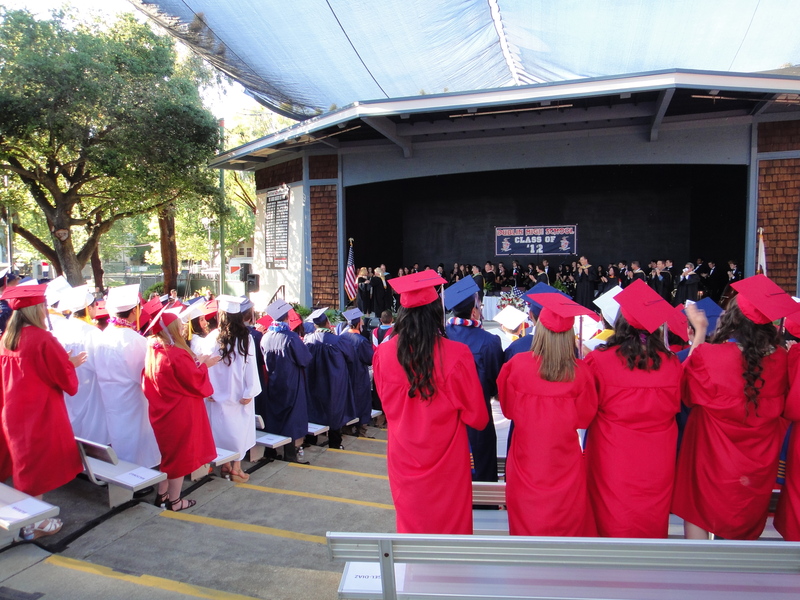 After a year of rising test scores, winning sports team, awards for visual and performing arts and even a visit from the stars of MythBusters, Dublin High School’s Class of 2012 had a lot to celebrate at Thursday’s Commencement Ceremony. 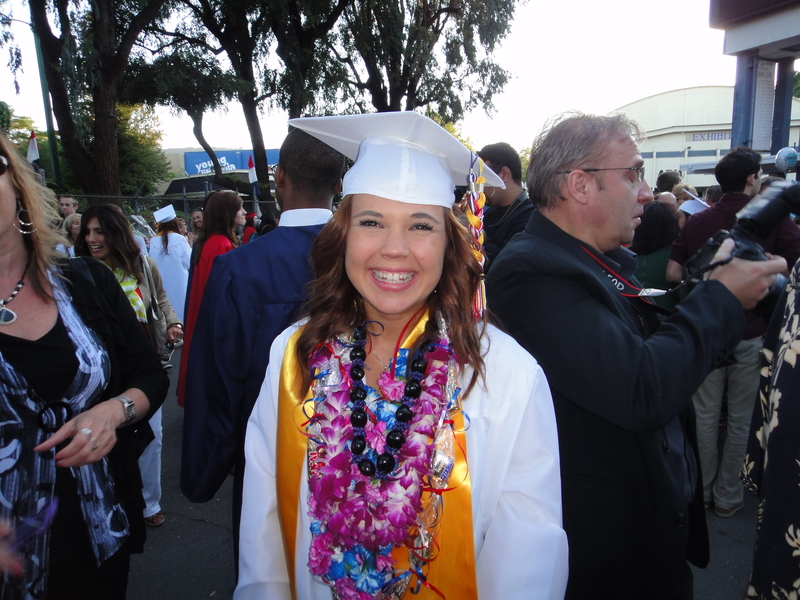 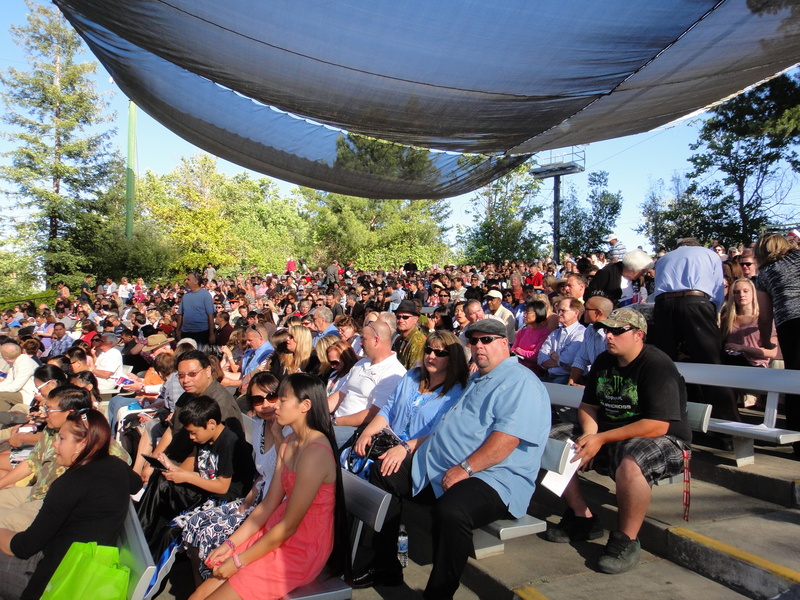 Parents, grandparents, siblings, friends and educators gathered at the Alameda County Fairgrounds Amphitheater Thursday June 7, 2012 to cheer on the Dublin High School Class of 2012 (the 42nd event in Dublin High’s distinguished history). 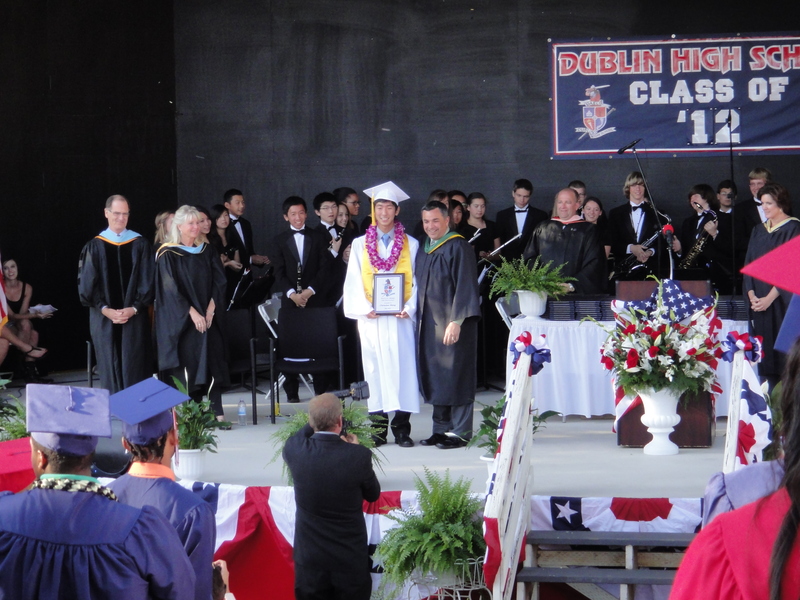 The event included speeches and presentations by Dublin High School Valedictorian Andrew Song (who is attending the University of Chicago this Fall to study Economics, and who was awarded a National Merit Scholarship), DHS Alumni Association President Eric Swalwell, DHS Principal Carol Shimizu and Assistant Principal Theresa Young, School Board Trustees Greg Tomlinson and David Haubert, City of Dublin Mayor Tim Sbranti and Senior Class Vice President Edward Achziger (who is attending Marist College this Fall on an athletic scholarship, with plans to pursue a career in medicine). 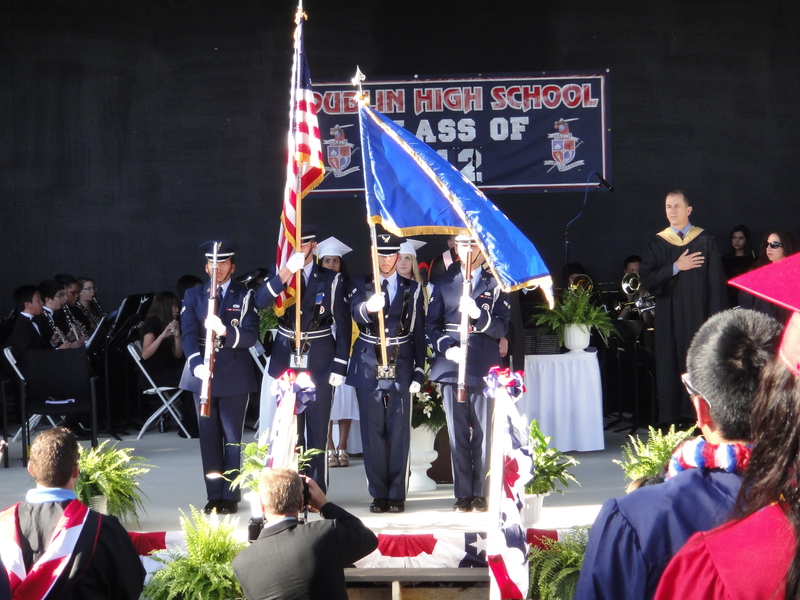 The Dublin High Color Guard and Band, bagpiper Jeff Campbell and members of the Air Force Color Guard brought fanfare to the ceremony. 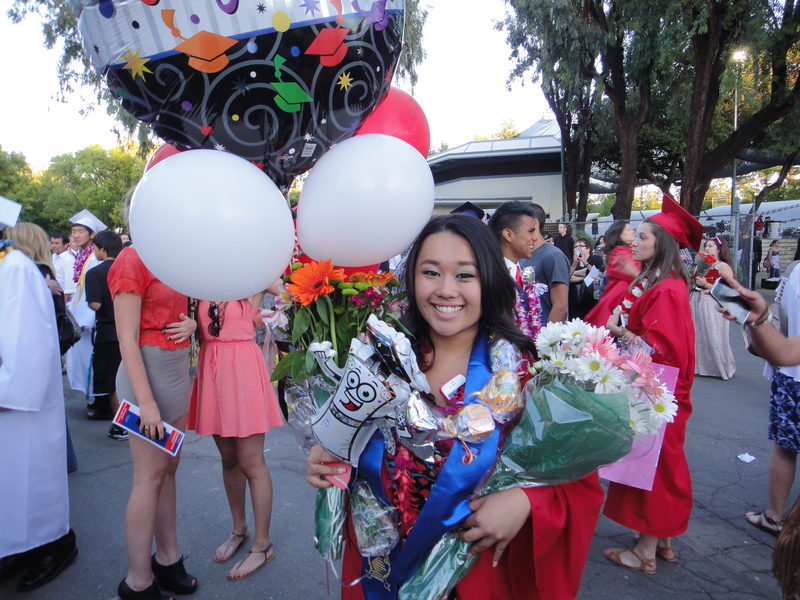 This year’s theme was “Just Imagine” – and the Class of 2012 has a lot to celebrate. 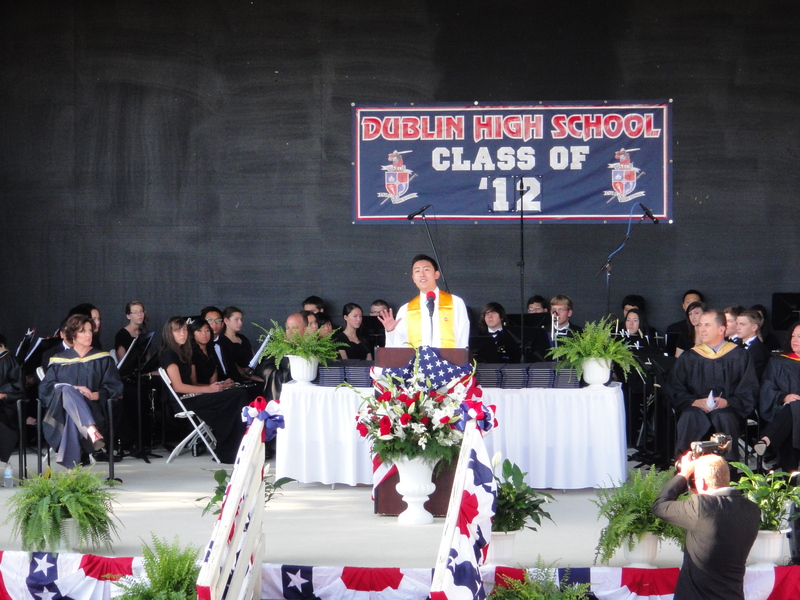 Over 97% of Dublin High’s Class of 2012 will be attending college this Fall, including Stanford, Brown, Duke, Purdue, US Air Force Academy, every University of California (UC), every CSU campus and and many more. 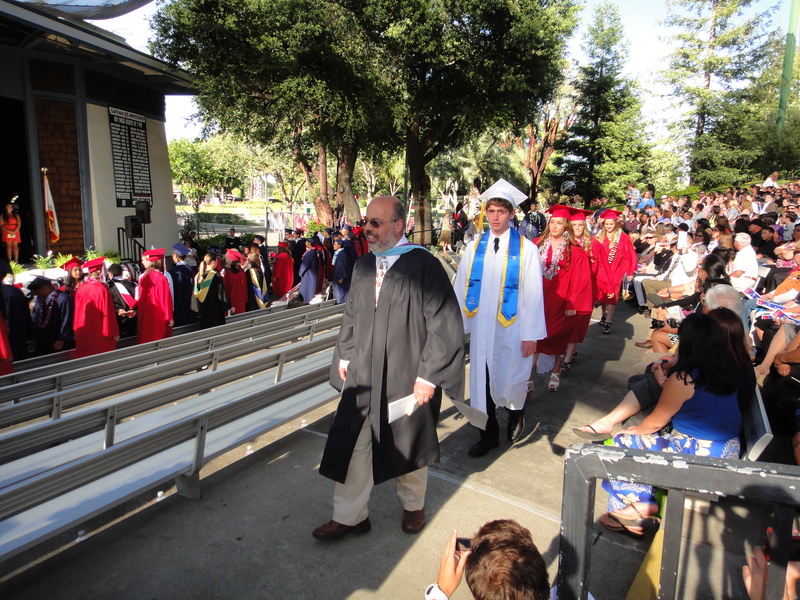 Dublin High’s students continued to drive academic excellence forward – achieving the highest ranking (10 out of 10) by the California Department of Education, while increasing the school’s API to 879. 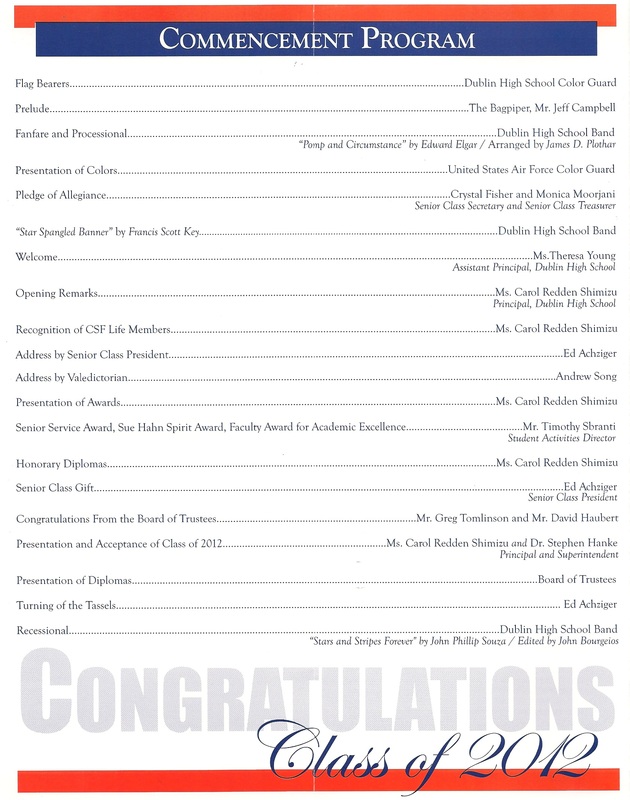 Dublin High’s visual and performing arts, and athletic programs brought home awards and recognition. 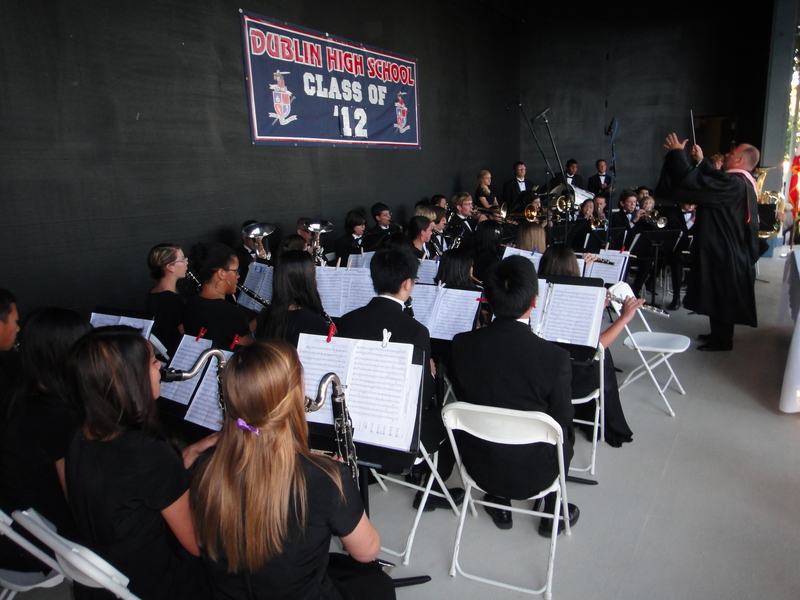 The Dublin High campus also continues to expand with Bond Measure C funded projects – a new Student Union / Cafeteria opens this summer and a state-of-the-art Performing Arts Center breaks ground in a few months.